Alex is a designer and very passionate about his job, which made it impossible for me not to fall in love with good design. We love good products, not the most expensive ones, just the best ones. And that’s exactly the kind of products you’ll find here. After three years of disposable nappies, we switched to cloth nappies and washable wipes for Emily. This is how I did it. 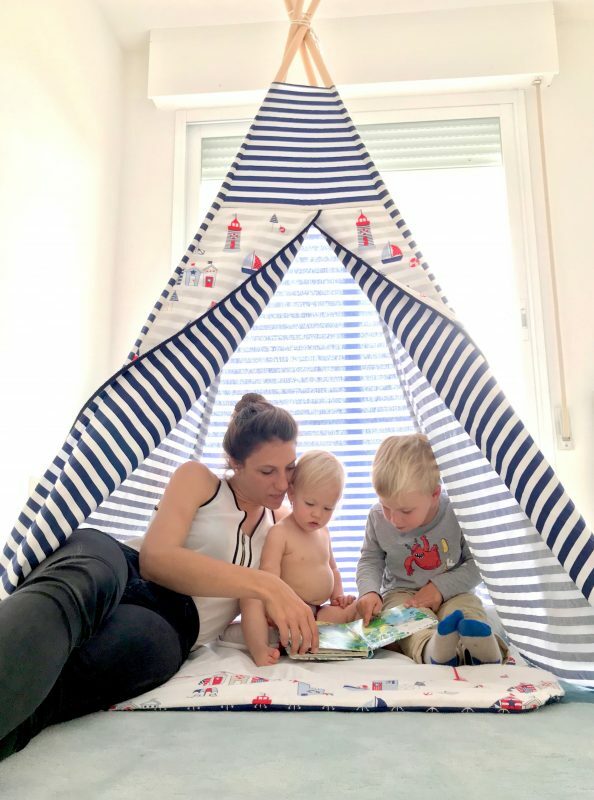 Matuu teepees are beautifully made by Roksana, an ambitious mum who loves to make kids smile and dream. 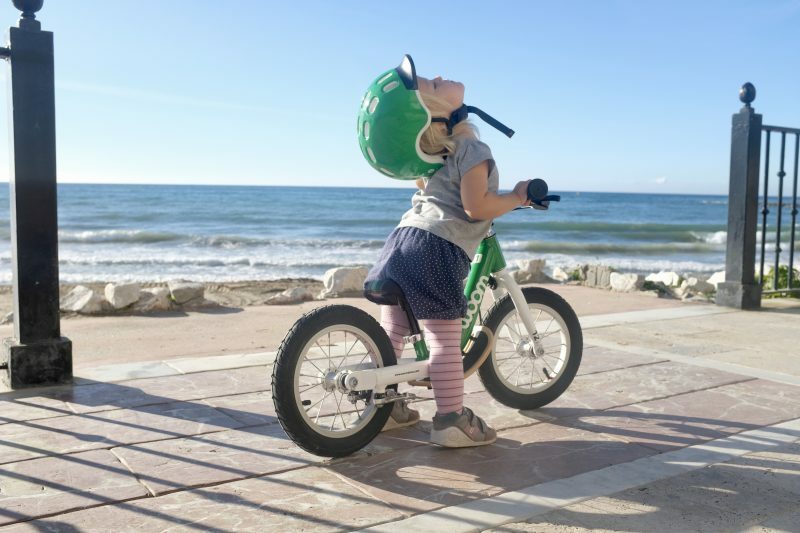 Woom 2 (3-4.5 years) is a light 14″ kid bike, well thought out in every detail. 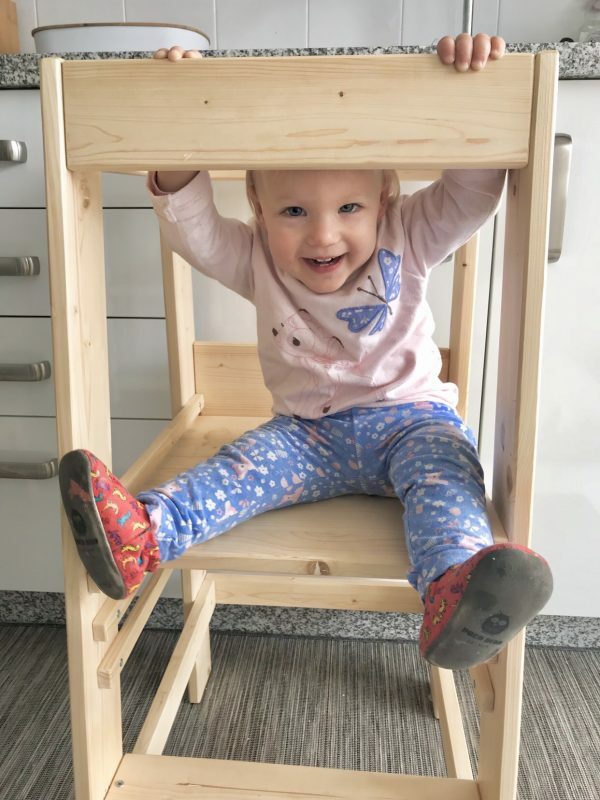 Here’s my experience using the KidSit by Kleine Dreumes with the Stokke Xplory stroller seat. 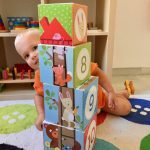 Reviewing the CHILD Montessori Learning Tower by Woomo, minimalist, functional, beautiful and sustainable. 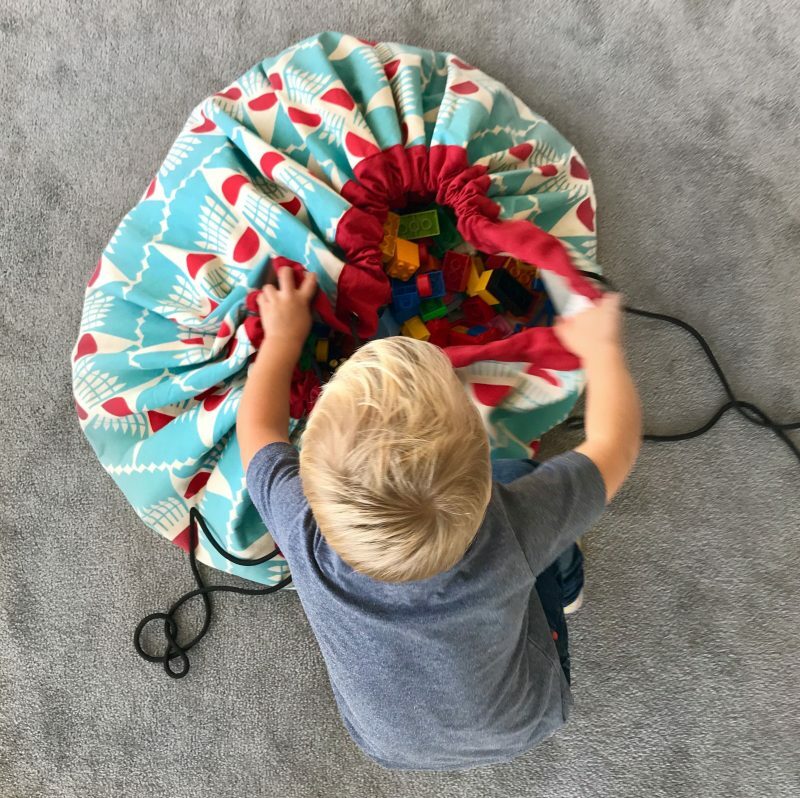 If your kids love Legos as much as Oliver and Emily, these sacks are fantastic! 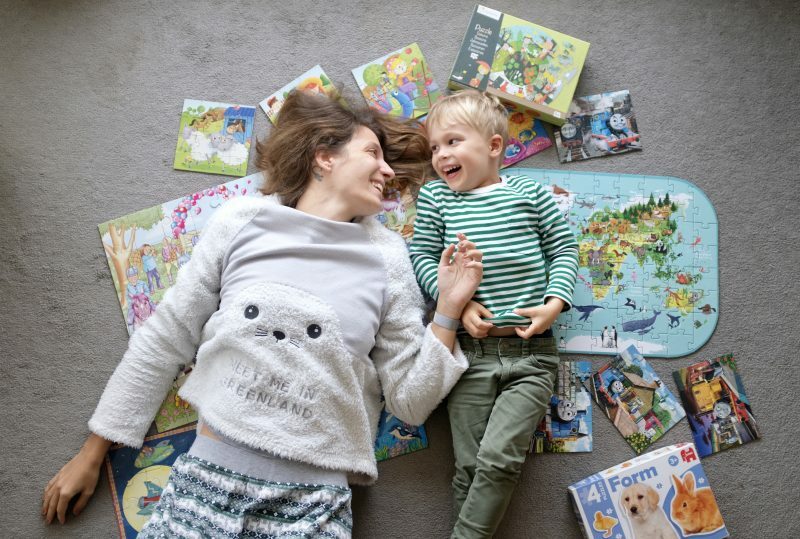 Oliver is really into puzzles lately and this set of three animal puzzles by Djeco is now his favorite. Name labels for school by StickerKid… thumb up! This is a sponsored post. 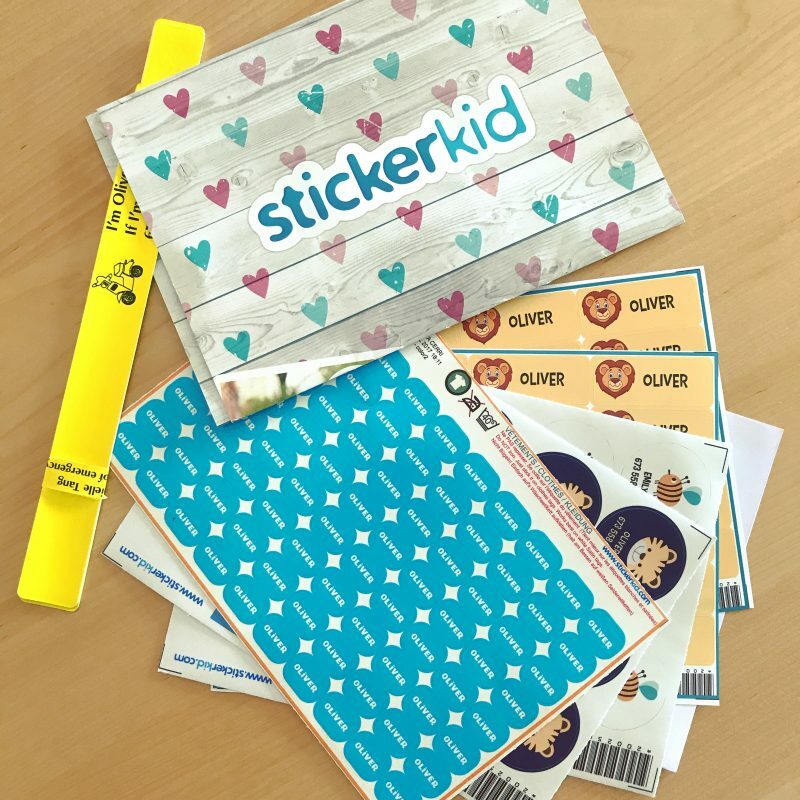 StickerKid was so kind to send me some of their products to try and, as I liked them, I decided to share them with you. 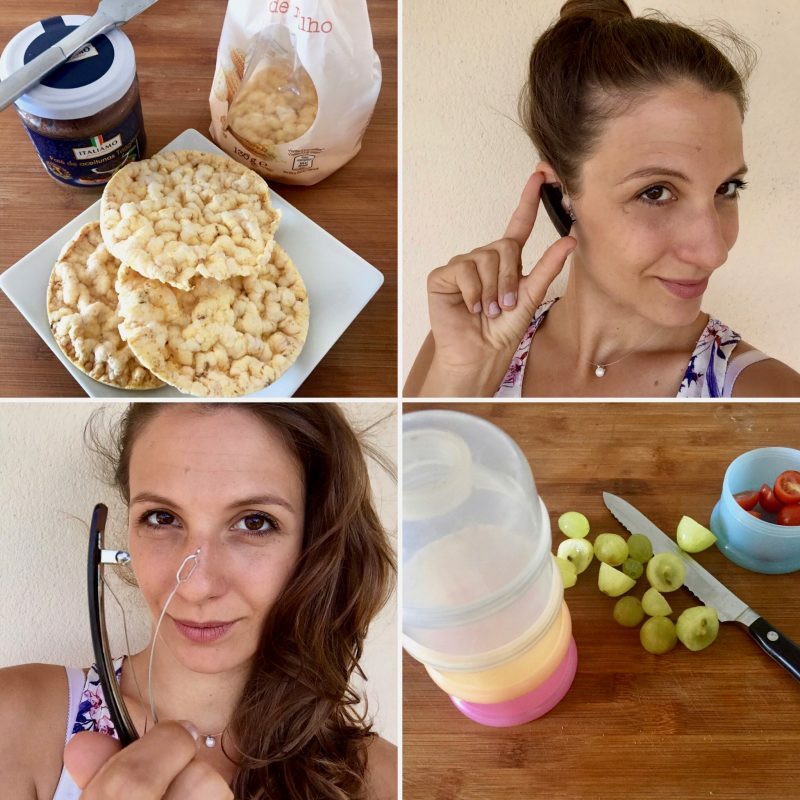 I haven’t tried other brands, because when I find a product that works and meets my expectations, I usually like to stick with it! La Tela Blogiversary + Giveaway! Around a year ago I realised that my blog was growing more and faster than I could ever imagine, and that I could convert it into my main job. 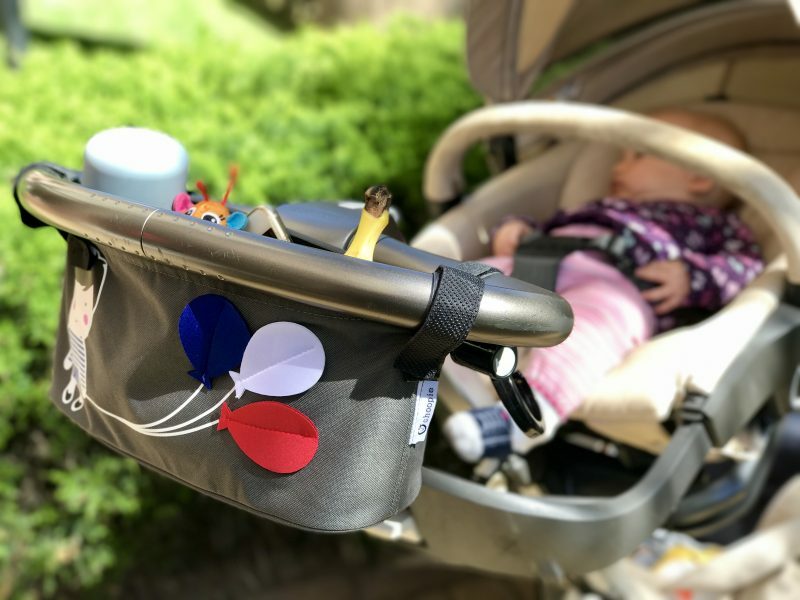 A few weeks ago, I saw my friend Brittney take out of her stroller organiser a small black bag that she carried with her as a handbag. 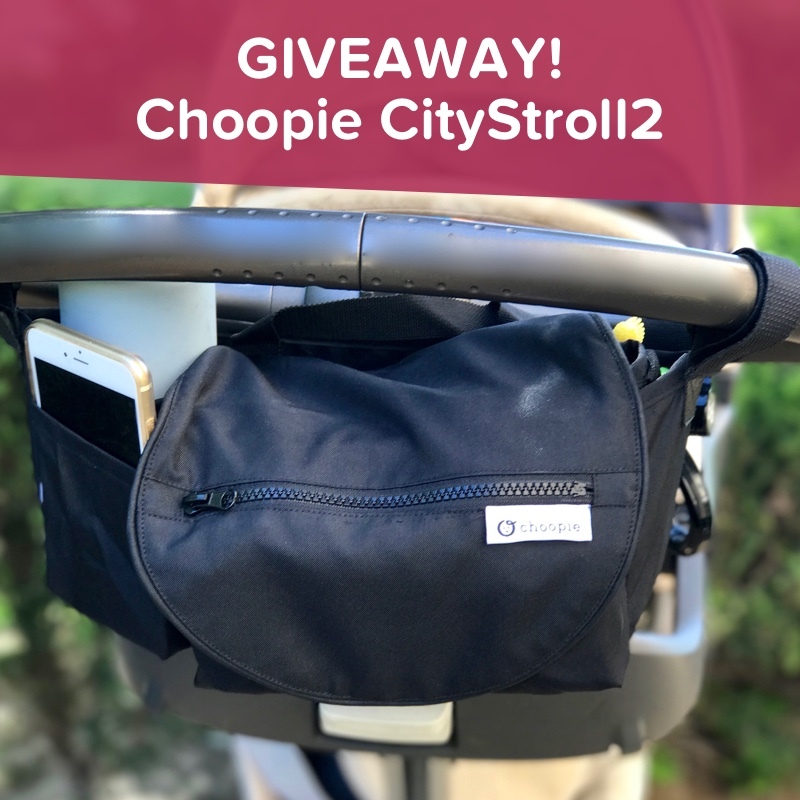 I was intrigued, and found out it’s a 2-in-1 stroller organiser by a company called Choopie (such a cute name!)! Emily and I love our Kari-Me carrier! 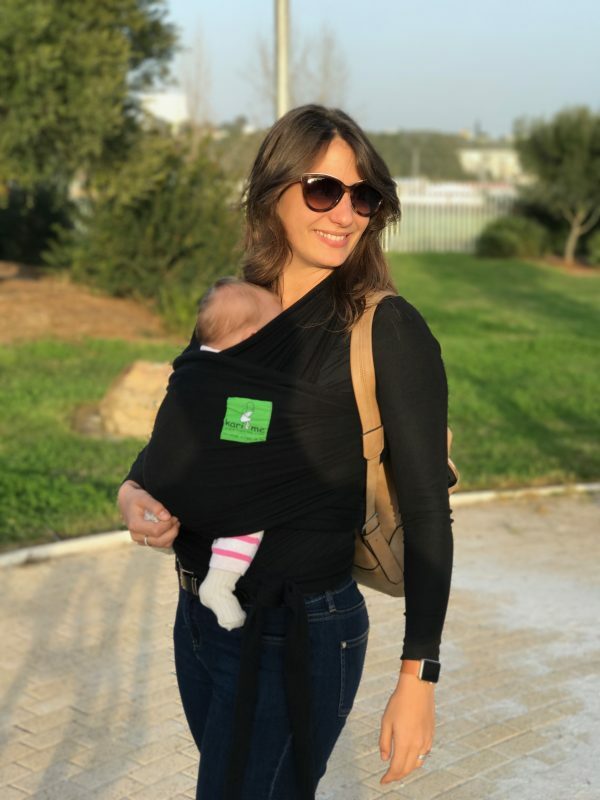 When Emily arrived I converted into a carrying mum and I now really like my Kari-Me carrier (and the lifestyle that it brings with it)! 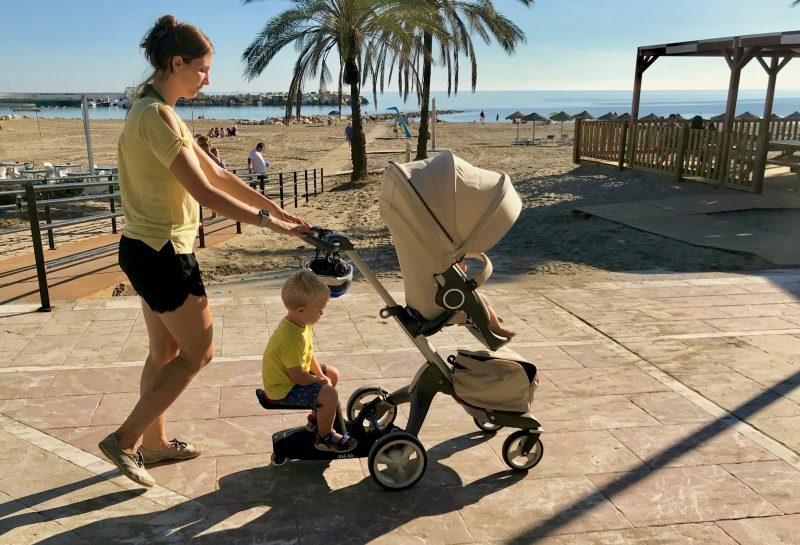 A year ago I wrote this review of the Stokke Xplory stroller and after one more year of using it (and washing it), here’s an updated version. 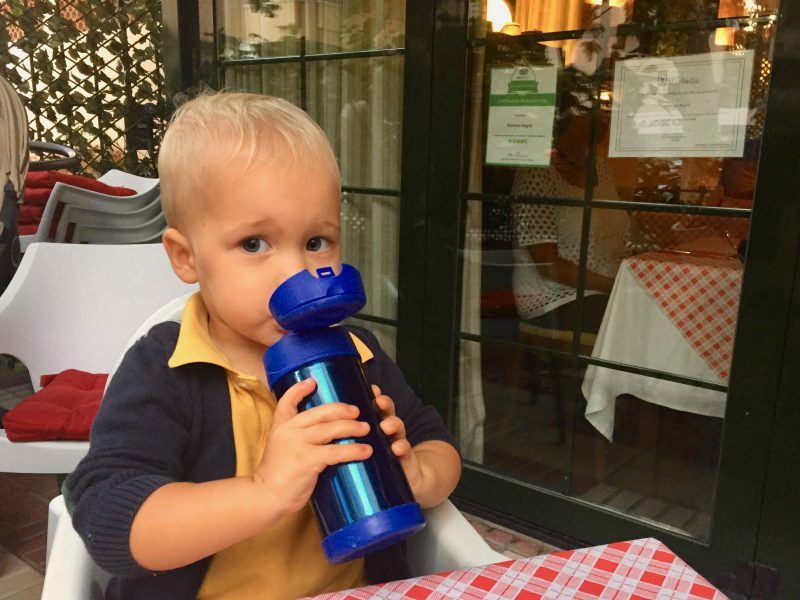 After going through several baby shops in Berlin without much luck, we decided to buy Oliver’s water bottle online, and we found this one: Thermos FUNtainer Bottle (355ml). AffenZahn animal-shaped backpacks, too cute to resist! Today I’d like to show you a cute little product we found in one of the shops in Prenzlauerberg: the AffenZahn backpacks. 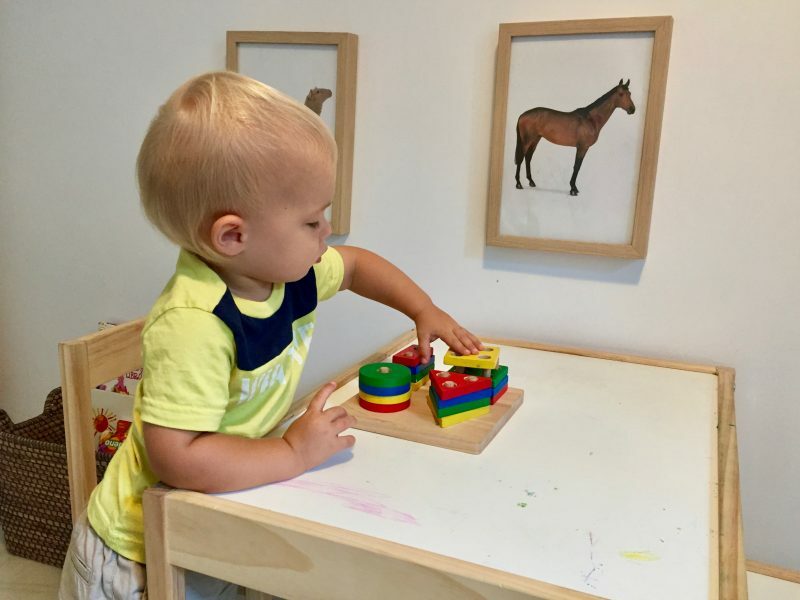 Today I’d like to write about a toy that Oliver has loved from the very first moment: the geometric shapes of Plantoys, a wonderful toy to promote concentration. 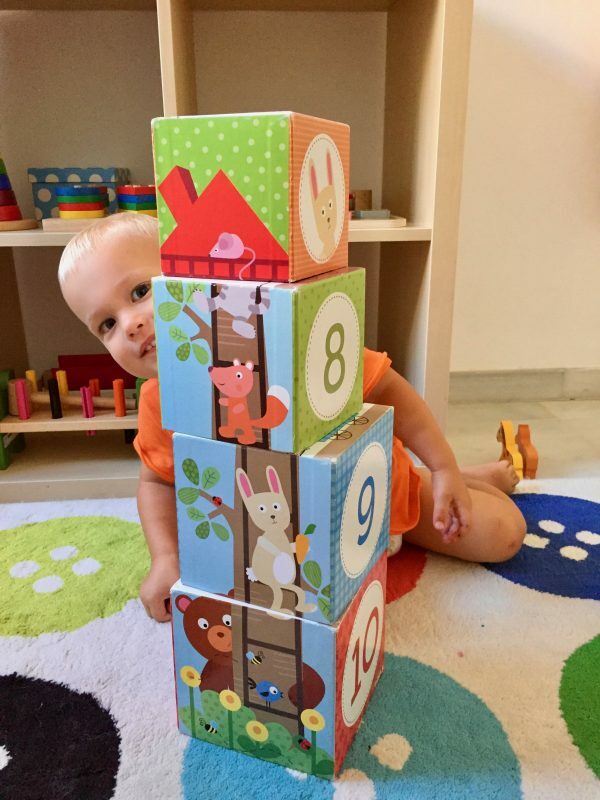 The Goula stackable woodland cubes are a fun take on the Montessori pink tower, but in my opinion they are much more versatile. 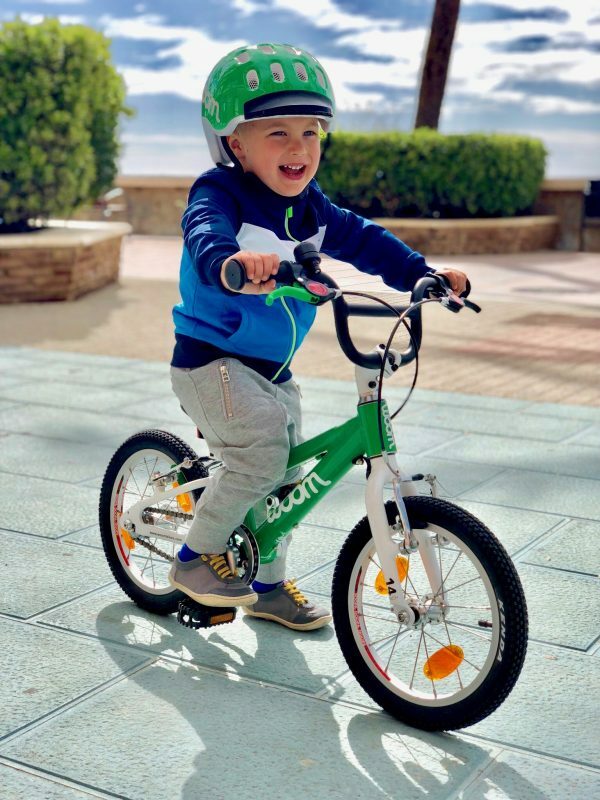 Oliver received them as a present for his first birthday and he’s still using them today that he’s 18 months. 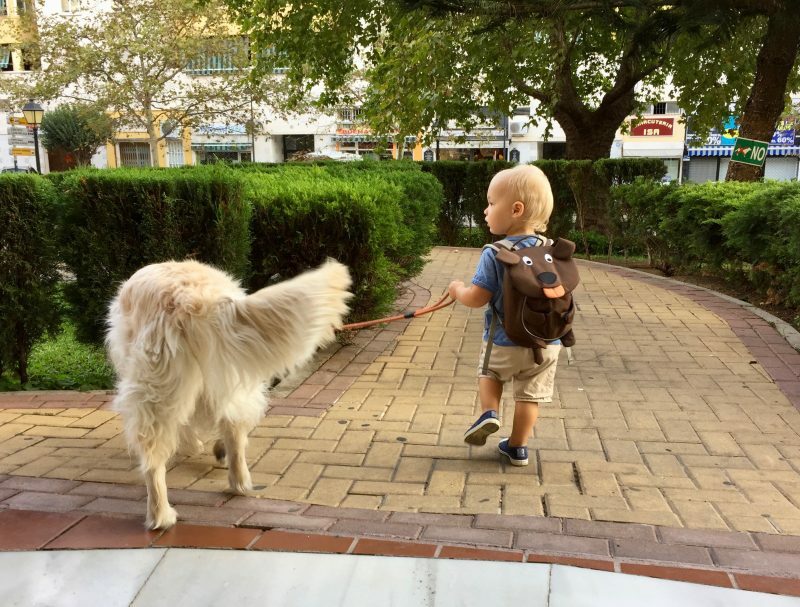 This morning I left the house in a hurry and forgot my hair clip: it was windy and I had to walk all the way with my hair in my eyes, unable to move it away because I was pushing the pram with one hand and holding Colbie’s leash with the other. 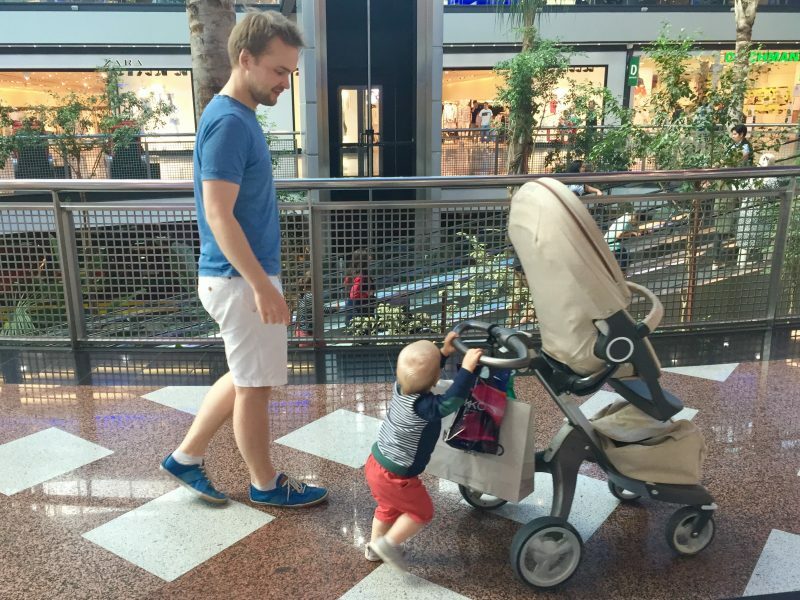 I was reminded how much easier some things makes my life since I’m a mummy. So today I’ll share my TOP 5 list with you!